Marina has over sixteen years experience providing legal and public policy advice on a range of issues. Marina has a LLB and Diploma for Graduates in Arts from the University of Otago, and was admitted to the Bar in 2002. Marina joined the public service, firstly with the Transition Tertiary Education Commission, then the Tertiary Education Commission. She was seconded to Parliament as the tertiary education private secretary for four senior Ministers of the Crown. She then moved back to the Tertiary Education Commission as a Senior Manager. Marina has extensive experience providing advice to organisations on public policy frameworks being proposed, developed and/or implemented in the education, Maori development, ethnic communities, economic development, science and innovation, tourism, and immigration. Marina assists organisations who are undertaking the CQ Tick, which measures the existing level of cultural intelligence and capability of staff and management so that gaps and strengths can be identified and addressed. Marina also works with organisations who are part of the Global Talent Intern programme which increases their cultural capability by having an international student/graduate intern in their organisation. Marina also delivers Cultural Intelligence (CQ) and Unconscious Bias training. Marina grew up in Invercargill. She is Ngati Kahu and Tuwharetoa. 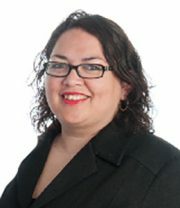 Marina is a member of Te Hunga Roia Maori Aotearoa (Maori Law Society). In private practice, Marina has significant experience in advising institutes of technology and polytechnics, industry training organisations, universities, wananga and private training establishments as well as early childhood education services, schools and students’ associations. Chairing political panels at conferences for sector organisations. Marina is passionate about helping organisations understand how Government and public policy works so they can maximise their business. She enjoys translating “Wellington” speak for clients, and introducing Government to great opportunities with business. Marina is also a member of the Australia New Zealand Education Law Association (NZ Chapter) committee.